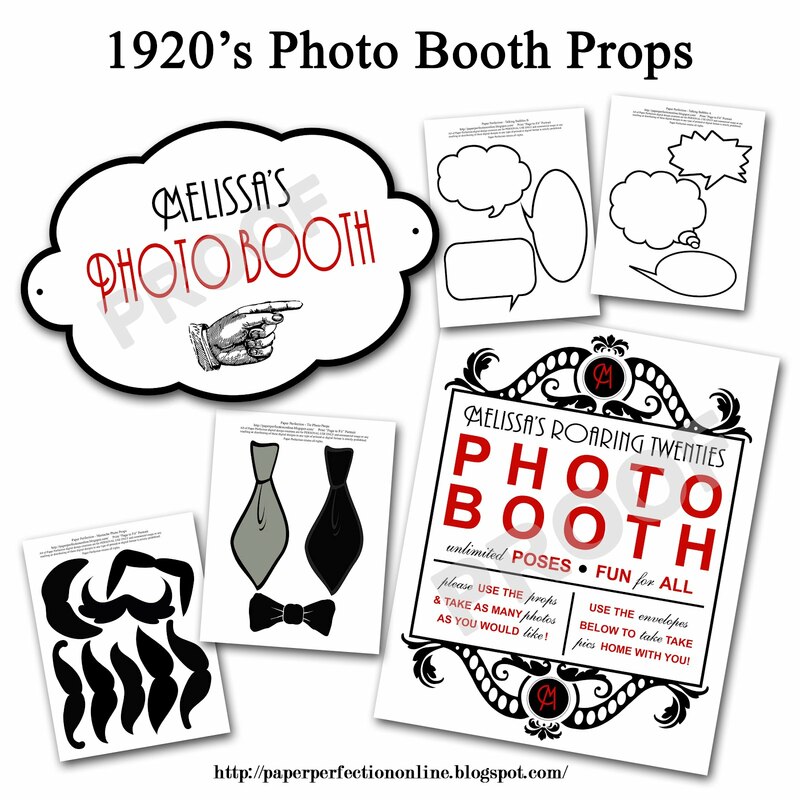 I LOVE photo booths and fun photo props!!! 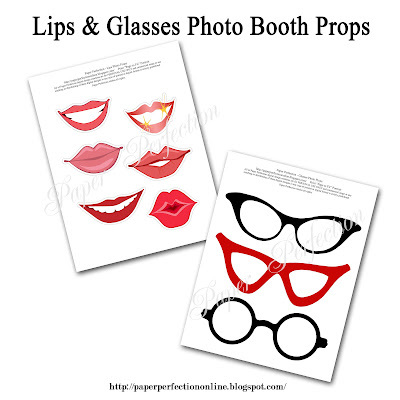 Photo booths are super popular right now for wedding and birthday parties as a photo makes a great party favor! 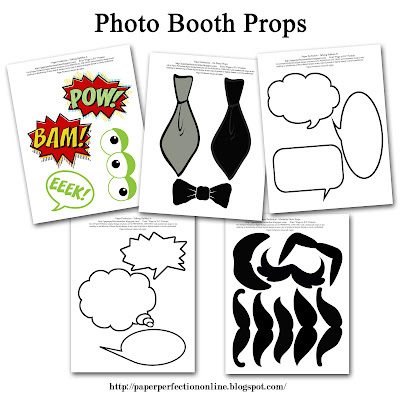 If you have a photo booth make sure you have lots of fun props like mustaches on sticks, talking bubbles so your guests can right in something funny (or you can have ones with words already on them) and signs that let your quests know where to find the photo booth and how to use it. 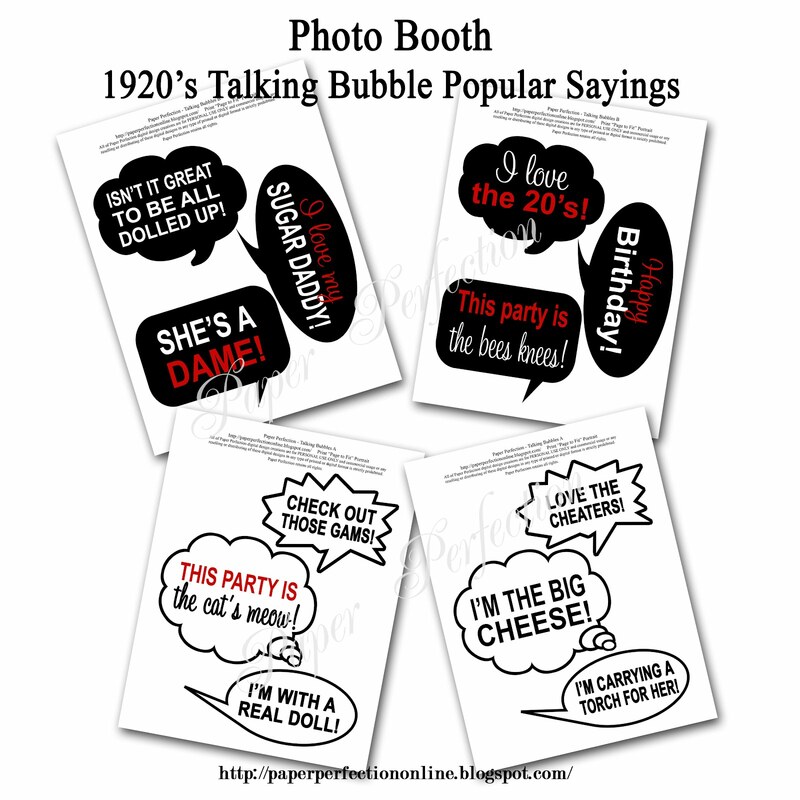 Here are a few things I designed for the Roaring 1920's party. 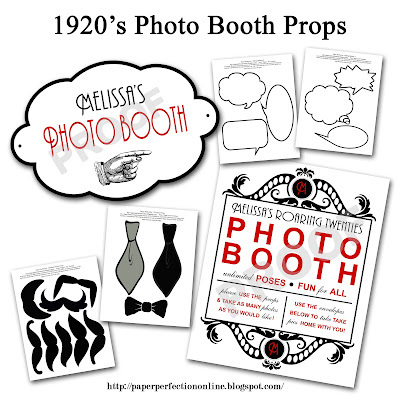 Here are a few more pictures of props that can be used by guests at your photo booth. 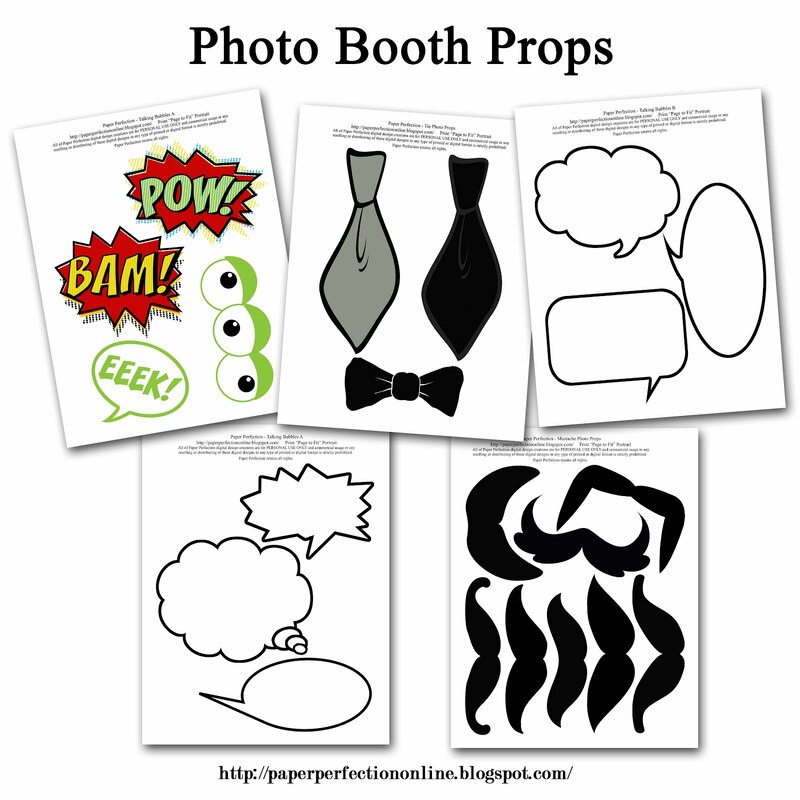 I can also make fun props for a pirate, princess, super hero...the list goes on and on...party. 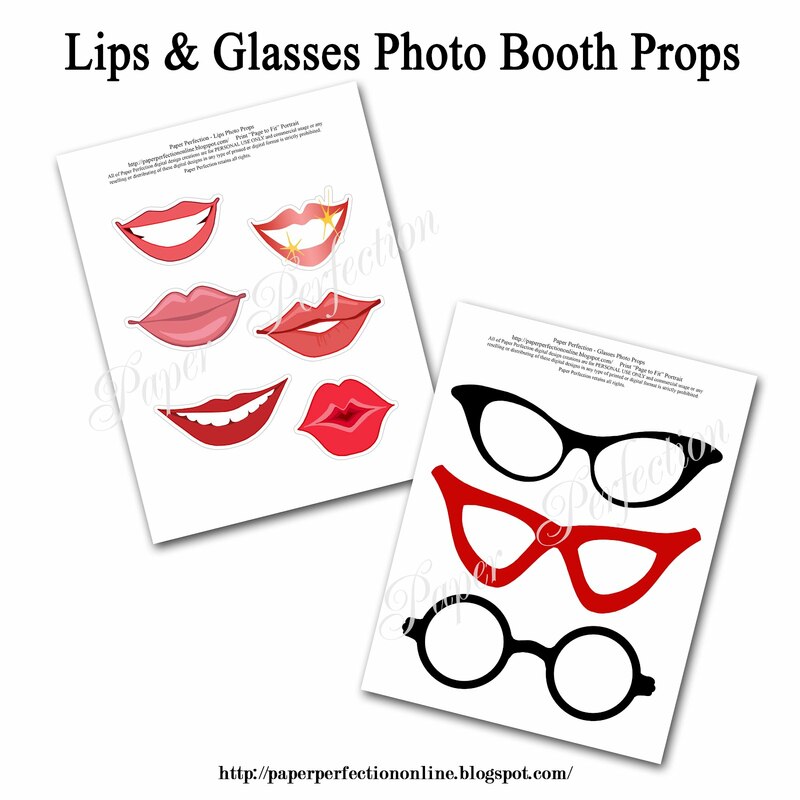 If you are planning on having a photo booth at your next event and need props or signs contact Paper Perfection and jtanddolly@yahoo.com for pricing and details. 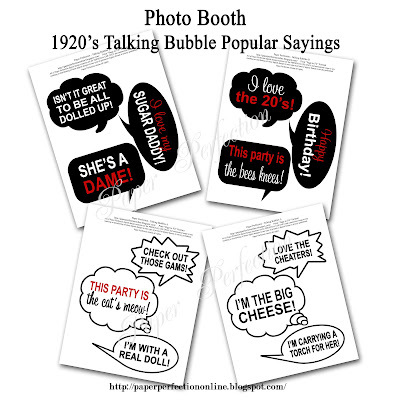 Here are a few talking bubbles specifically for a Roaring 1920's party with popular 1920's sayings like "Love the Cheaters" which means "Love the Glasses" to go with the 1920's glasses included with the photo props.